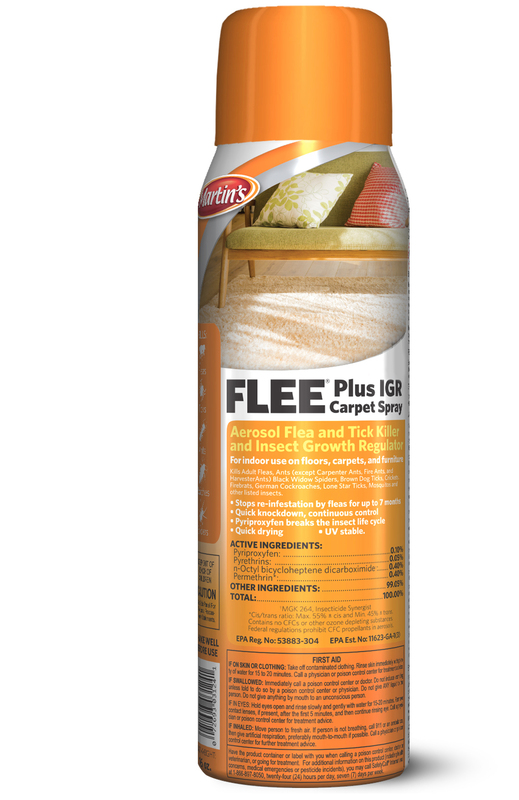 Martin's FLEE Plus IGR Carpet Spray Flea & Tick Killer kills fleas, ants, black widow spiders, ticks, and more. Stops re-infestation by fleas for up to 7 months. Take back control of your carpet!